Here is the one hour movement of the eye ending at 1:48am CDT. 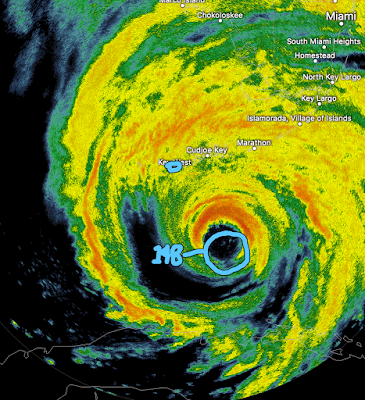 Key West is circled. The significance of this is that the eye will likely pass over or just east of Key West. This indicates our forecasts for the western coast of Florida (scroll down) are likely correct.